This year when planning our latest book, we had an idea that rather than just sharing our own thoughts on the world, we would include the ideas of a selection of health and business leaders who we have met and been inspired by over the last 12 months. 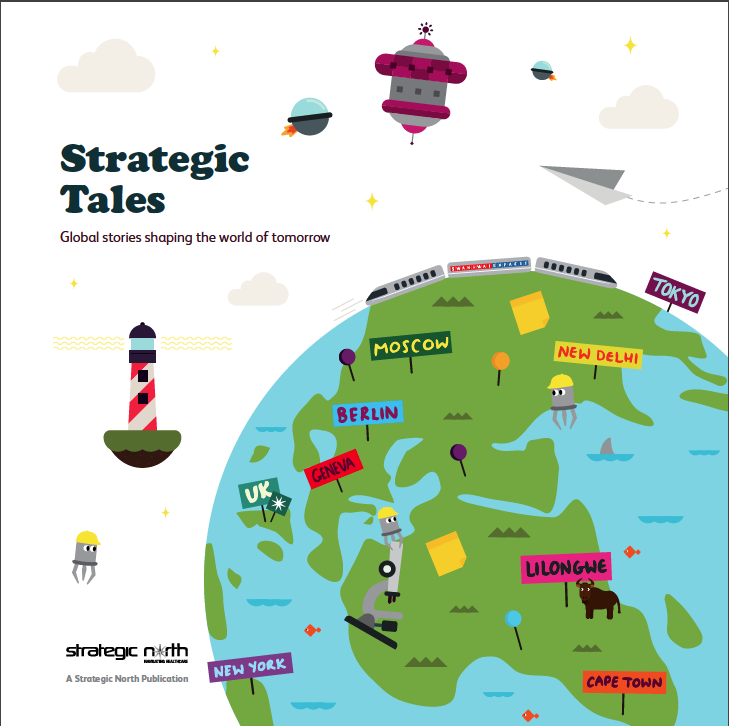 'Strategic Tales' is the output of those discussions, surmising some of the experts' thoughts and our own. One of our core values at Strategic North is to be pioneering. We aim to drive and stimulate debate and new ways of thinking, with our clients and in our industry in general. Last year we published our 'Little Book of Blogs', a collection of our favourite blogs and trade press articles we had published throughout the year, by way of stimulating thinking with those in our industry and beyond. We are extremely fortunate that we get to work and engage with pioneers in their own fields. This year, when planning a follow-up book, we had an idea that rather than just sharing our own thoughts on the world, we would include the ideas of a selection of health and business leaders who we have met and been inspired by over the last 12 months. We set up a series of interviews with experts from a wide variety of fields related to our work including: neuroscience, health policy, pharmaceuticals, nanoscience, global health, clinical delivery, health philanthropy, sport, business and technology; leaders and evangelists all. Our book, 'Strategic Tales' is the output of those discussions surmising some of the experts' thoughts and our own. We would like to take this opportunity to thank all of those who contributed, for sharing their valuable time, knowledge and experiences with us. It is hugely appreciated.